We have been cooped up the last few days due to croup and just needed out of the house. 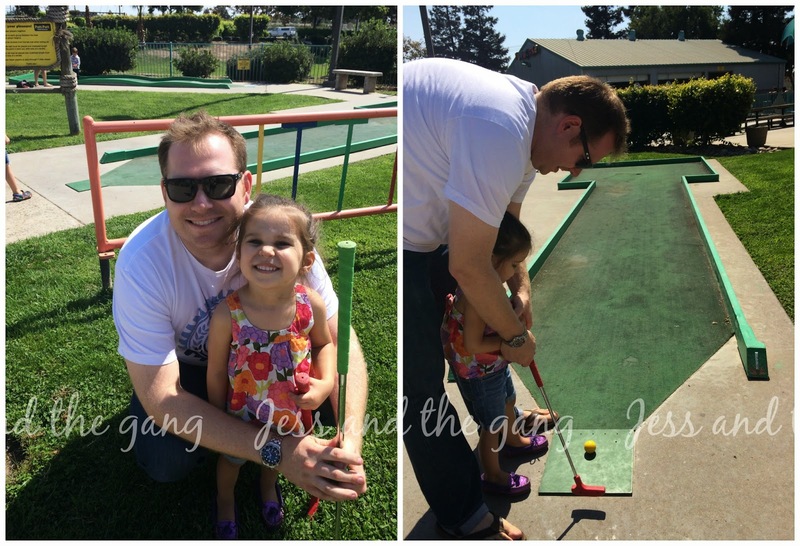 While out running errands yesterday, I said to Ian "Lets do something fun" so to putt putt golf we went. We had never taken the kids before. It certainly was entertaining and chaotic. Isla was way more into it than Connor, which I thought it would be the opposite. Both kids were not really wanting help from mom and dad. They preferred trying on their own, which included swinging the club around like a baseball bat and kicking other people's balls. Isla also liked putting her ball about an inch from the hole, then hitting it in. Then she would get really excited and cheer for herself. Connor didn't even bother playing at most holes. 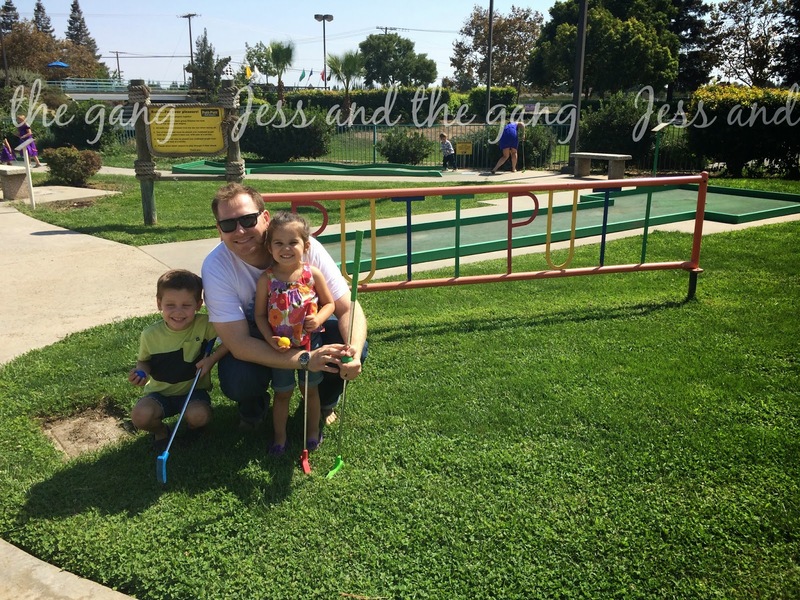 But, he loved running around on the course, blocking Ian's ball from going in the hole and pushing his sister around. Such a good big brother. 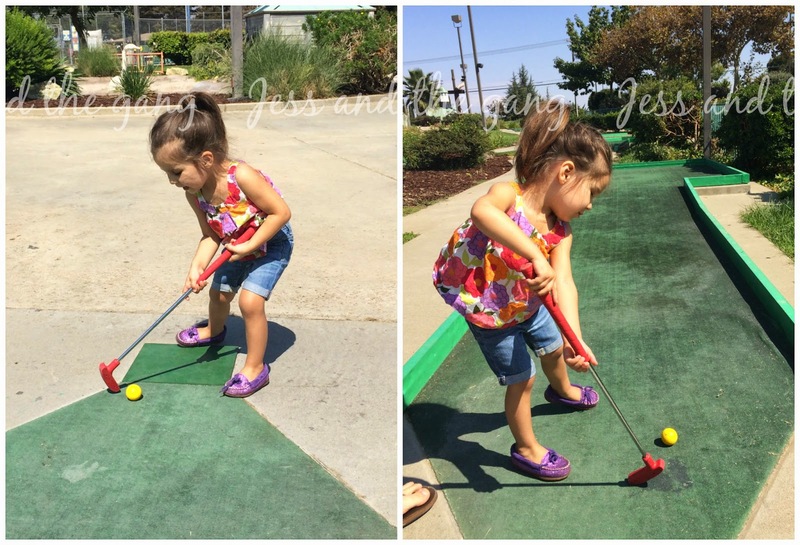 And because you won't be able to resist the adorableness either, here is a little video of Isla golfing. I think I may wait a while before taking the kids putt putt golfing again. Or, maybe if we took them one at a time...you know, so then there aren't two clubs flying in the air at the same time! Who knew putt putt could be so dangerous! 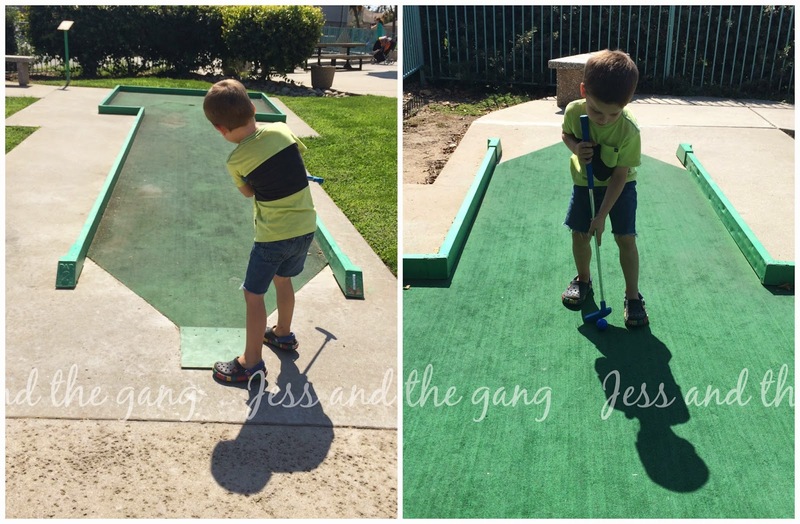 I've been wondering if my kids were ready for mini-golf. I may wait! haha! Next time maybe try bowling - both my boys love it!